Home / Our Meetings / SAVE THE DATE ! 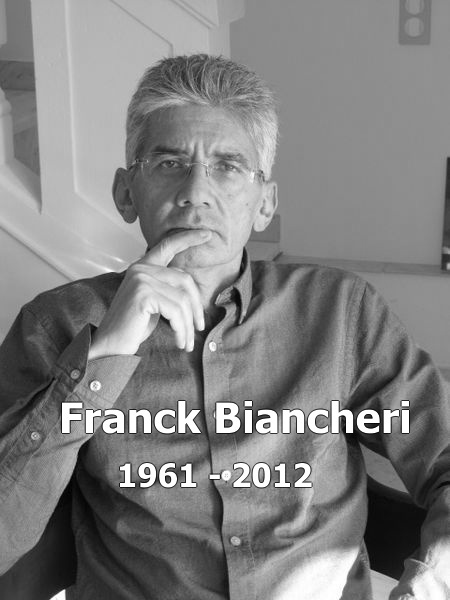 The Franck Biancheri Network and iCAN invite you in Louvain-la-Neuve on July 1-2! Register now! Free and compulsory subscription! 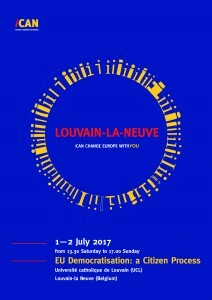 On the first evening of these two days, the “ICAN European Night” is designed to facilitate the present citizens’ and organisations’s coming closer together by means of a variety of « happenings » and moments of valorisation of each and everyone’s ideas and projects (speakers corner, speed-dating, etc…). The second day is dedicated to workshops gathering participants according to their affinities with the ideas and tools presented in the previous day’s panels. 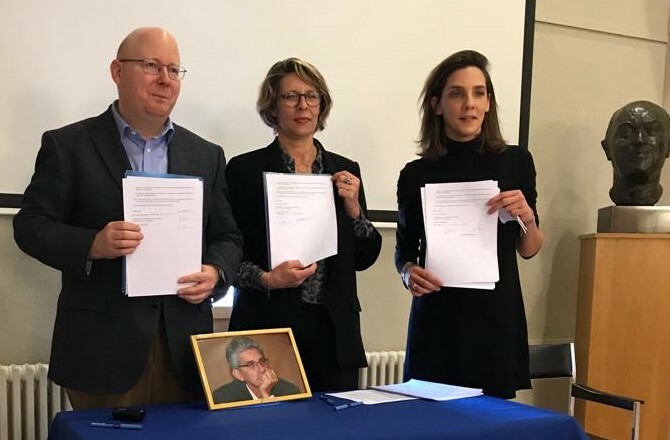 A « Declaration of Common Commitment » will be solemnly signed by all participants and online at the end of the two days. A “Route 72 Map” presenting the strategy, a calendar, actions, teams and the needed organisation will be published as the main outcome of the whole kick-off event. A democratic Europe is finally within reach. Let’s make sure the opportunity that we are being offered is not spoiled. Let’s show that we are ready and break into the breach thus opened! 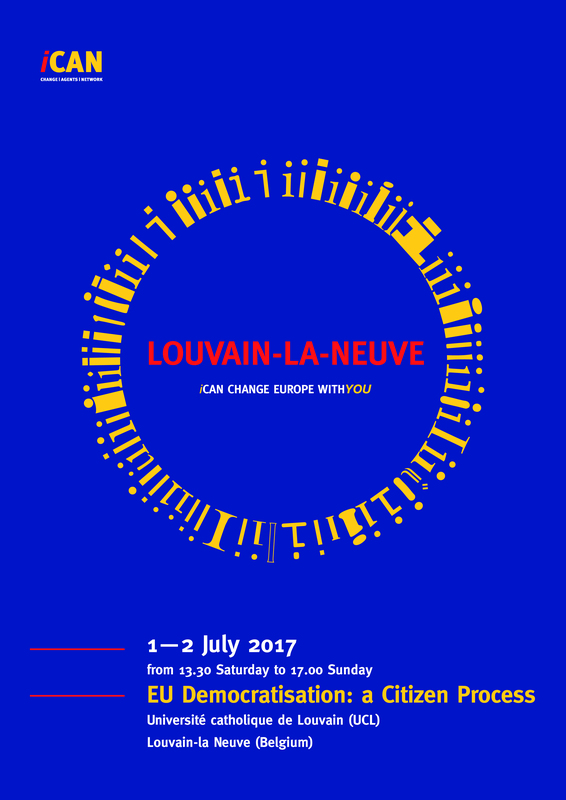 Join us on July 1-2, 2017, in Louvain la Neuve ! Participation is free but mandatory here! Many cheap solutions have been negotiated for your accommodation! The « Food-Truck Festival de Wallonie » is there for cheap and delicious meals during those two-days! It’s NOW ! Don’t miss it !